Craigie on Main in Central Square has been one of my favorite restaurants for years. The wide-open kitchen, blackboard listing featured ingredients for the evening, and warm atmosphere give it a cozy, intimate feeling like being a guest in someone's home. Craigie on Main was one of the first of Boston’s “locavore” restaurants and set stage for smaller gastro pubs that have become popular over the last several years. 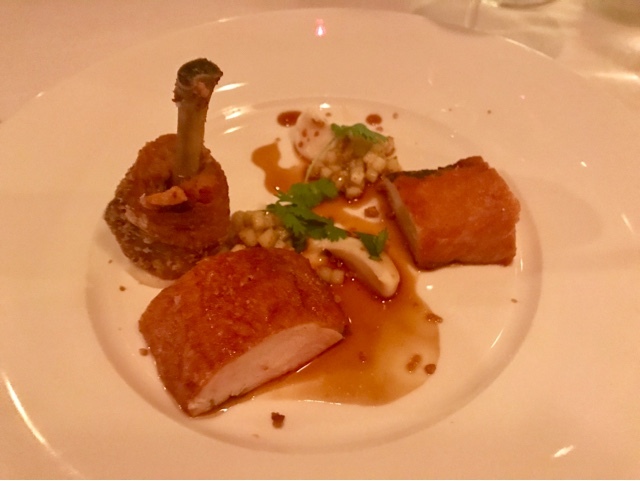 I've dined at Craigie many times, and the most recent visit was with a Gilt City deal for multi course tasting menu with wine pairings. It's not often that I'm so into the food I forget to take pictures, but this happened several times at Craigie. There were at least additional 2-3 courses not pictured / described here! 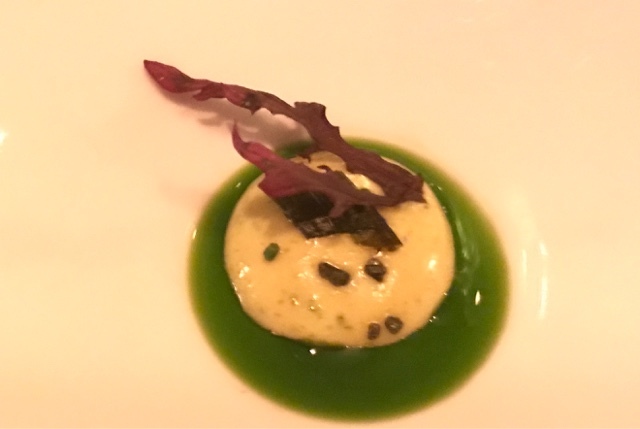 We started with an amuse of Tonato with scallion basil oil. This was rich and creamy; a perfect first bite. 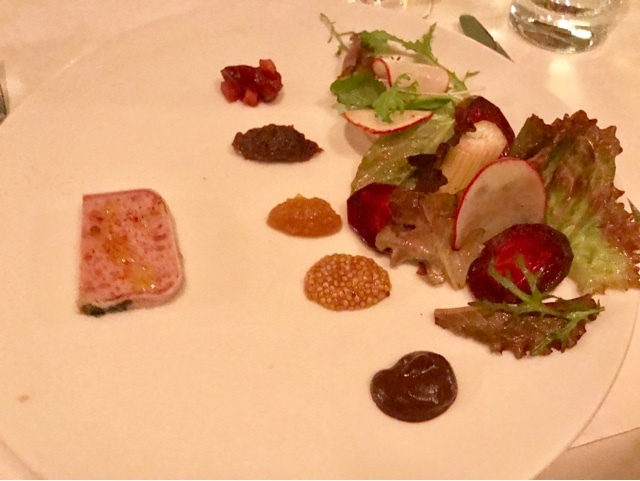 Next was one of my favorites, the duck and foie gras pate served with with pickled cranberry, beet tapenade, winter vegetable, whole mustard, and purple mustard. The pate was amazing, and my favorite pairing was the whole grain mustard. I kept taking tiny bites to make it last as long as possible! 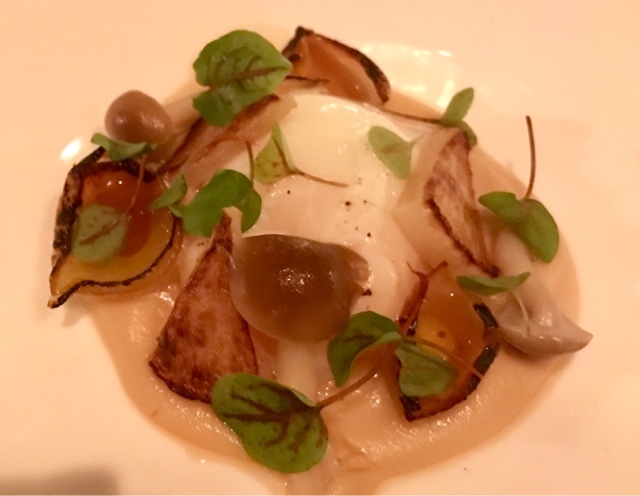 The next dish was another of my favorites, a slow poached egg with pears, mushrooms, and root vegetable puree. The runny egg mixed with the vegetables and made for a rich, and delicious sauce. 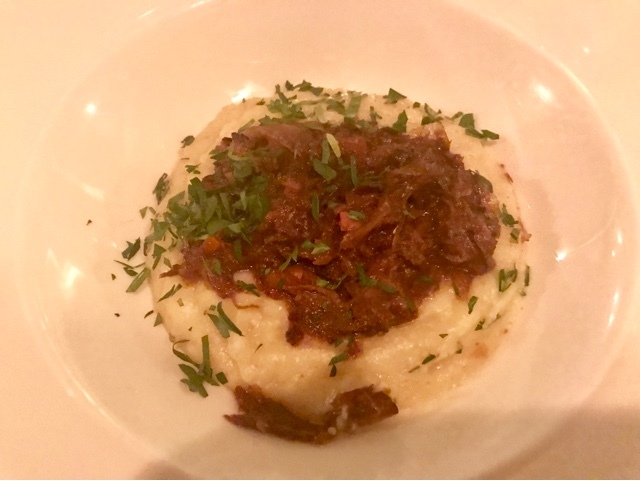 The first of our main courses was a braised short rib served over creamy polenta. I love short ribs with polenta, but don't order it often because it's usually too rich and too big a portion. I enjoyed having a small plate on the tasting menu! The final savory course was a chicken ballentine served with sweet corn. The chicken was really well done, with crisp skin and tender white meat. The sauce was also a bit sweet, a perfect pairing with the corn. 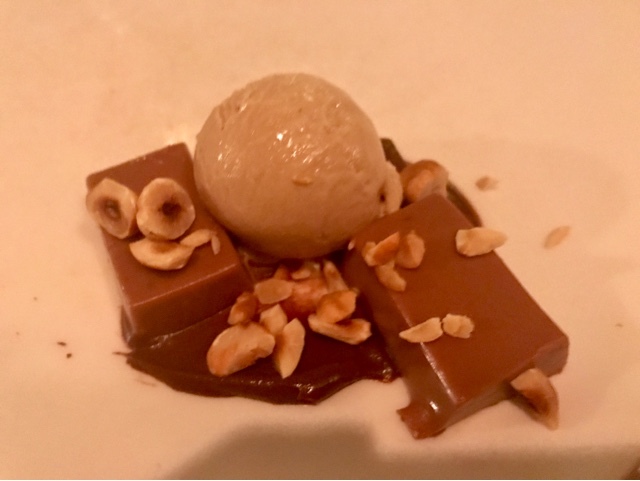 Dessert was a milk chocolate cremeux with feuilletine walnut ice cream. This was a bit like a deconstructed candy bar, and a perfect ending to a great meal. I was surprised that Craigie offered a Gilt City promotion; the place is always packed. But it was a great deal, and many of the items were from the regular menu. I would definitely take advantage of this offer if I saw it again!